Ready to take your riding to the next level? 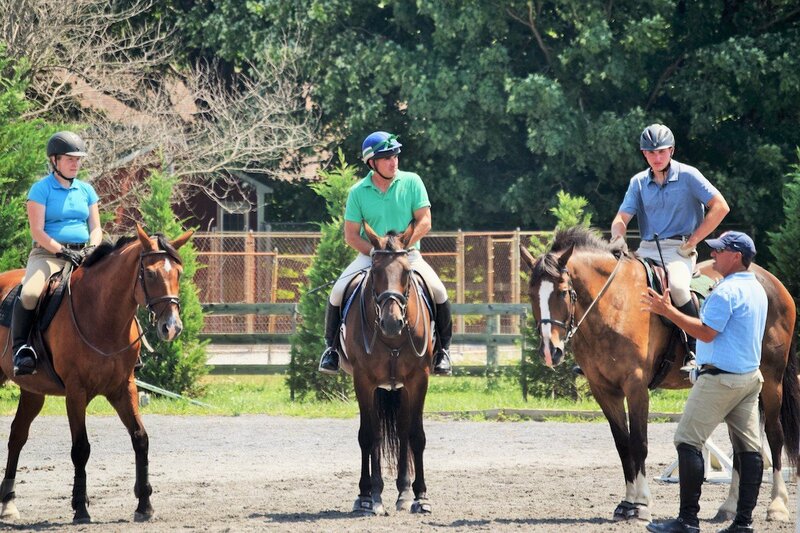 Sign up to ride with one of the incredible professionals at Waredaca’s Expert Day clinics! Expert clinicians offer one day dressage, cross country, or stadium practice, as well as some clinics running over multiple days to get in a little bit of each. It’s the perfect opportunity to learn from people who have proven themselves as riders in their disciplines and have proven themselves to be wonderful teachers as well. Learn about some of our regular experts below! Who better to teach than three former Olympians-David, Jimmy and Stephen – check their bios to see their many accomplishments! 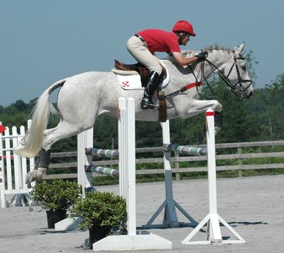 All classes will focus on JUMPING, either GYMNASTIC JUMPING/COURSEWORK or CROSS COUNTRY. Cross Country will be dependent on footing and weather. Gymnastic Jumping/Course Work will be held in either the outdoor or indoor arenas. Jimmy’s schedule runs from early morning through early afternoon. Stephen typically starts in the early afternoon and run until dark. David does one day of both courses and cross country. Small groups up to 6 will be scheduled; lesson time will be adjusted for group size. Rebecca Langwost-Barlow is a USDF Gold, Silver, and Bronze Medalist and one of the first USDF certified trainers to Fourth Level. She was a world-ranked Grand Prix rider on her self-trained Dutch gelding Gomerant. As the first recipient of the Dressage Foundation Scholarship, she trained under the renowned Olympian Dr. Reiner Klimke and Rolf Isselhorst in Germany. She also trained with Michael Klimke, Willy Arts, Conrad Schumacher, Hans Juergen Armbrose, Rudolf Zeilinger, Georg Theodorescu and is presently training with internationally acclaimed trainers: Morten Thomsen and Christoph Hess. Becky is a USDF Certified Instructor and has a 5 Star Rider Rating. Becky is also a USDF L Judge, who graduated with distinction and just recently, was the Expert Commentator at Dressage at Devon 2017. Becky is a frequent contributor to Dressage Today, Practical Horseman and other local publications as well as serving as a training and showing expert for many national magazines. She is featured in the book, Rhythm Riding: A Guide to Riding with Music by CeCe & Frank Maddlone. Libertina, her Hanoverian mare, is successfully competing at Grand Prix. Becky has started many equine youngsters and has trained and shown horses to FEI levels including Grand Prix. Carolyn Del Grosso serious focus on dressage began in 1980 when the horse she was riding at the time proved not very athletic over fences. She trained and competed him to the Prix St Georges level. Shortly thereafter it became apparent that in order to move up in dressage she would need to have an imported horse as the ones being bred in the United States at the time were just beginning to improve. With the import of Arklicht, a Hanoverian weanling, Carolyn began a journey that took her to the top levels of the sport. She was able to get her USDF bronze, silver and gold medals on him and competed through the Grand Prix level. They also did many demos over the years, sharing their love for dressage from the Cherry Blossom Parade to the Horse World Expo and beyond. Carolyn has trained with Sally Swift, Kay Meredith, Ginna LaCroix, Walter Zettl, Linda Zang and Rebecca Langwost-Barlow. She loves taking clinics and continuing to learn! Carolyn continues to teach students from all disciplines and levels with a couple that have made it to the FEI level. She has a laid back approach to progressing up the levels or just getting the student where they want to go. USPS can be used by downloading available registration forms on this site. Closing Date: The Friday before the scheduled Expert Day date. Cancellation Policy: You are purchasing a time slot which is paid for in advance and is non-refundable. If you are unable to attend for any reason, you are responsible for finding a rider to purchase your spot. In the event of extreme circumstances, contact gretchen@waredaca.com to request a Waredaca registration credit, which may be used within 90 Days ONLY for the specific Expert Day chosen. The timetable will be emailed and posted on the web no later than the Monday before the Expert Day. Parking will be at our WEST Entrance shared with the Waredaca Brewing Company, just past our main 4015 Entrance; proceed thru the auto gate and park in the gravel area that opens up on your left. Lessons will meet near our Indoor Arena. Dogs welcome, but must be leashed at all times. Auditors FREE and always welcome and encouraged to be ringside with the clinicians and assist!